Take a simple chocolate cake or cake mix and make it fancy! Kids will love this too as it not only tastes good, but it looks like a giant chocolate donut. Preheat oven as cake mix directs. Prepare cake mix as box directs and pout into a bundt pan. Put into the oven and set timer. While cake is baking, prepare frosting and confectioner's glaze. Cream butter and vanilla in a small bowl with mixer and medium-low speed. Mix until completely creamed together. Alternating, add cocoa and confectioner's sugar, beating at medium speed until creamy. Add some of the milk with the remaining sugar and cocoa until you reach desired consistency. You will use all the cocoa and sugar, but may not use all the milk, depending on your desired consistency. Set aside. Slowly add milk to confectioner's sugar and mix with a fork. Do not add all the milk all at once. Add a little at a time until glaze is the consistency you want, a little runny, but thick enough that it doesn't pour off of the fork when lifted out of the mixture. After cake has cooled completely, frost with chocolate frosting. After cake is frosted, using a spoon, drizzle confectioner's glaze all over cake in a back and forth motion. Use as little or as much glaze as you like. As my Mom used to say "Whatever suits your fancy." "I love you Mom, miss you terribly." mailto:[email protected] or fill out the form on the left side of this article. Check out all the fun goodies we are giving away here! 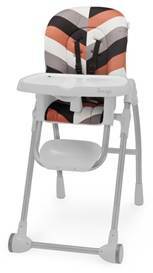 Enter to win this $170 Snugli High Chair! Giveaways change every couple of weeks, so be sure to check back often. Several giveaways going on at once!